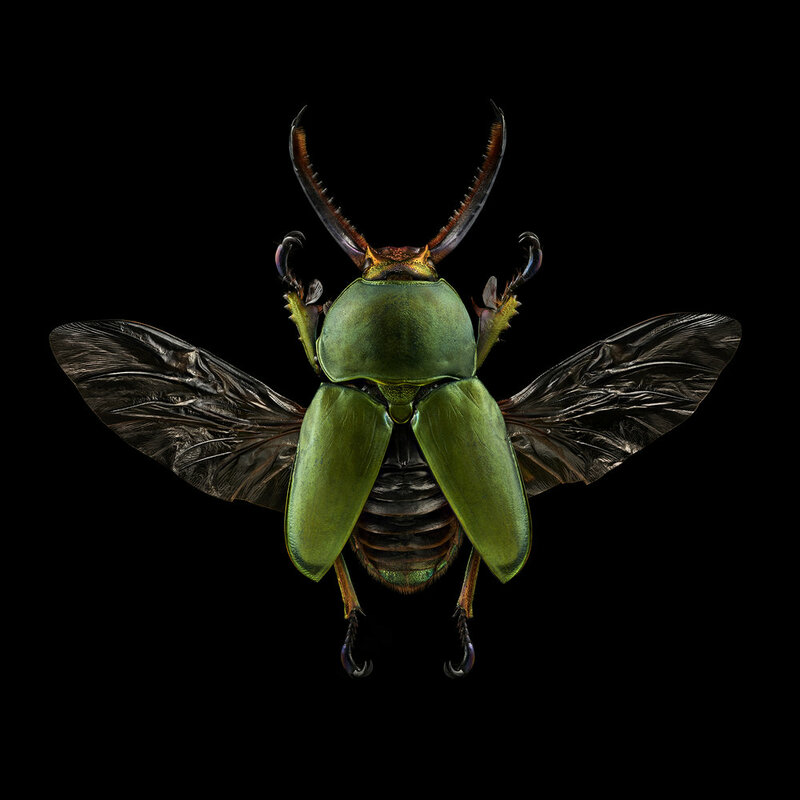 Microsculpture: Portraits of Insects OUT NOW! The TED talk that Levon presented at the 2017 conference in Vancouver is now available to view at TED.com. Visit go.ted.com/levonbiss to view the video. Only a few weeks to go now until the Microsculpture book is available, published by Abrams on 10th October 2017. Over 144 pages, the book will show the full Microsculpture collection and present the microscopic detail in all its beauty. The book will be widely available through all good book shops, Amazon and of course the Abrams website. Pre-order your copy soon! 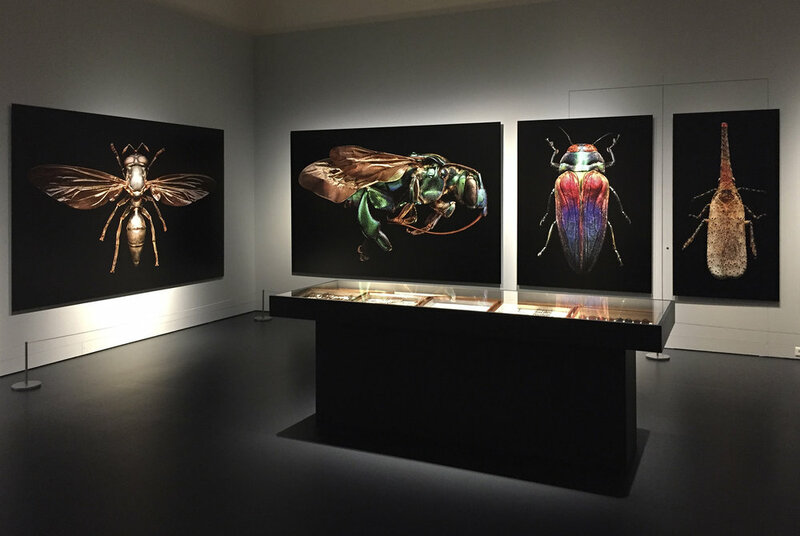 A section of the Microsculpture works are currently being shown at the Natural History Museum of Basel in Switzerland. 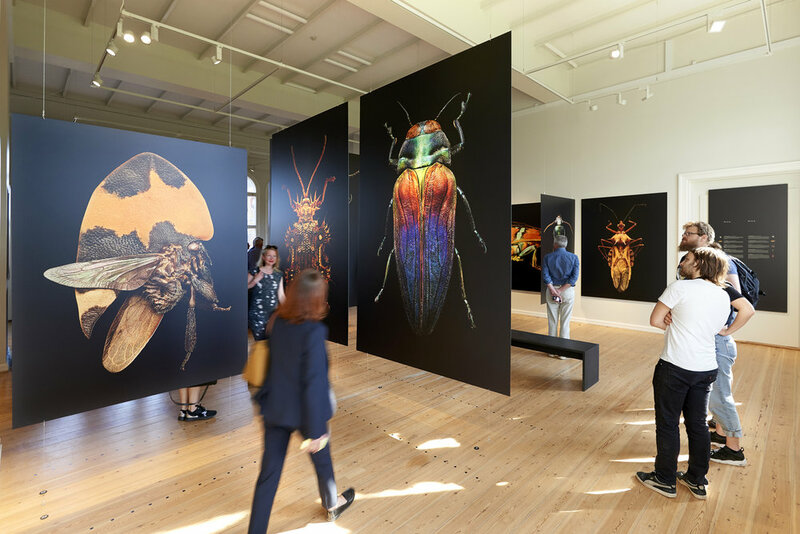 Providing a contrast in scale, the giant photographic prints are displayed alongside some of the museums fine insect collection. The show is open until the end of October so don’t leave it too late to get along and see it for yourself! This Basel show will also coincide with the publication of the Microsculpture book, published by Abrams on the 10th October. Keep an eye out on the Microsculpture website and Levon’s social media channels to find out more about book events. The second major Microsculpture exhibition of 2017 is being held at the National History Museum of Denmark in Copenhagen. The show will run for 6 months and is expected to be a popular feature in the city for the summer, incorporating educational days and science talks promoting the understanding of the insect world. Levon will also be taking part in the museum’s Wine & Science event on September 12th where he’ll be discussing the Microsculpture project and new work. 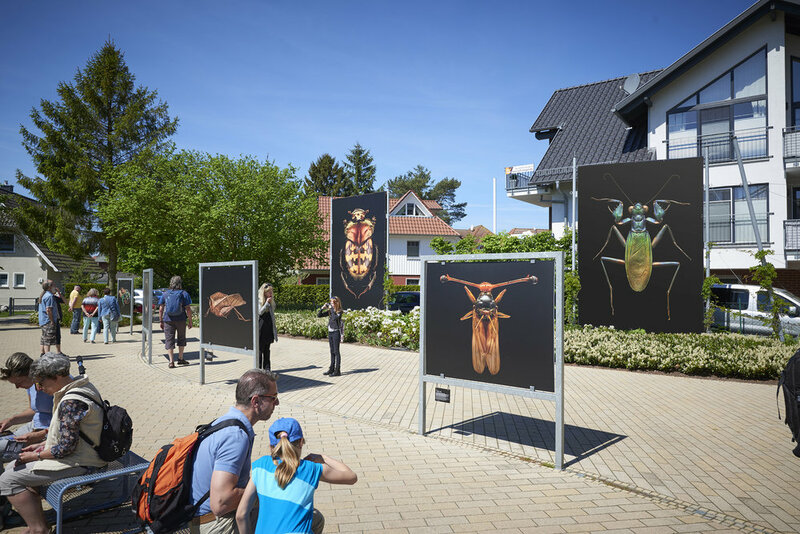 The first outdoor Microsculpture exhibition was held at the Horizons Photo Festival, showing a section of images up to 4.5m in height. 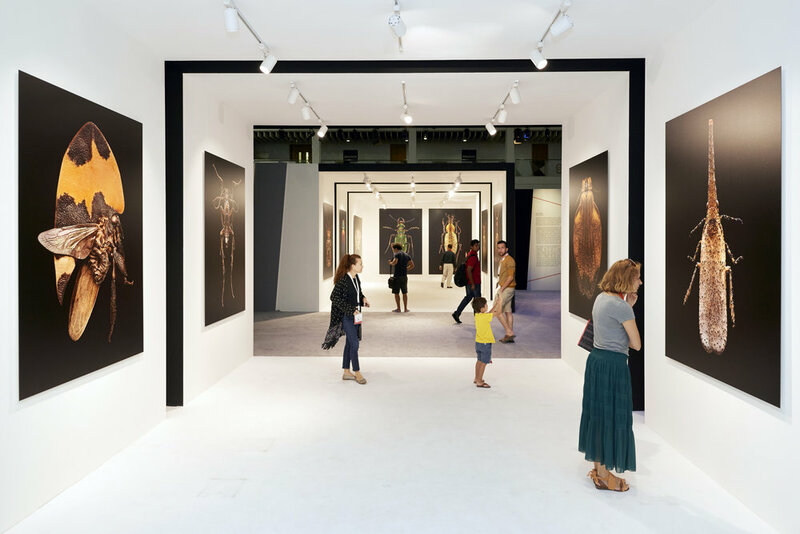 The spa town of Zingst on the Baltic Sea provided a perfect setting for a series of outdoor exhibitions and was visited by over 40,000 people over the 2 week festival. At the TED 2017 conference in Vancouver, Levon had the honour of presenting Microsculpture. 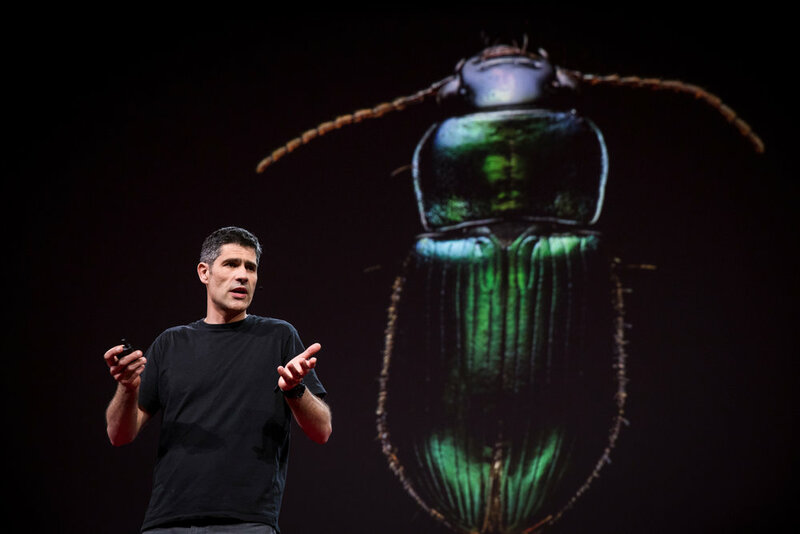 Displaying a selection of the insect portraits on 3 giant screens, Levon explained his photographic process and the story behind the project to a packed auditorium and worldwide audience. The talk will be uploaded onto TED.com on October 4th, so keep an eye on Levon’s social media feeds for a link. Ever seen a 9m Grasshopper? 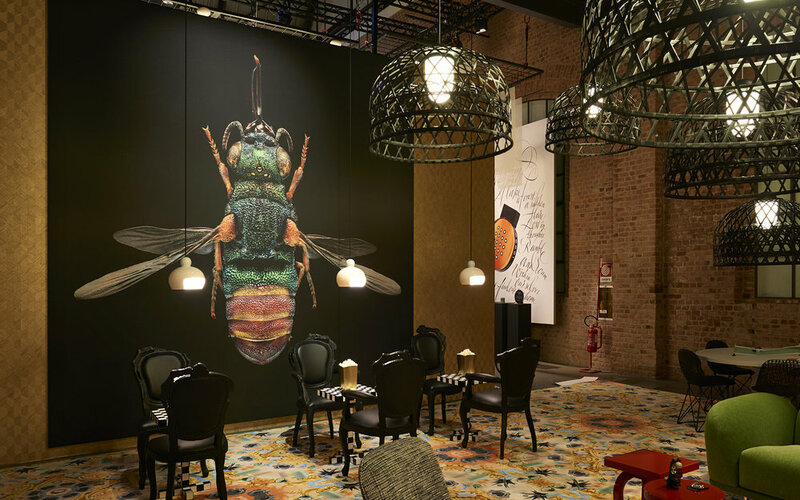 Well, in a unique collaboration Levon teamed up with the furniture and lighting designer Moooi for an unforgettable show at the 2017 Salone del Mobile in Milan, Italy. 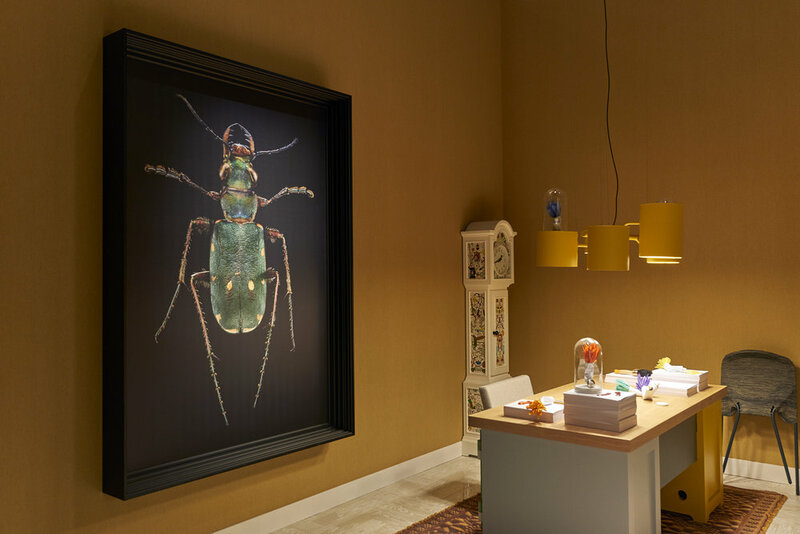 The joint exhibition displayed the Microsculpture portraits in the largest sizes so far, providing a striking backdrop for Moooi’s beautiful collection. The partnership is to continue, with future shows in New York at the end of the summer. 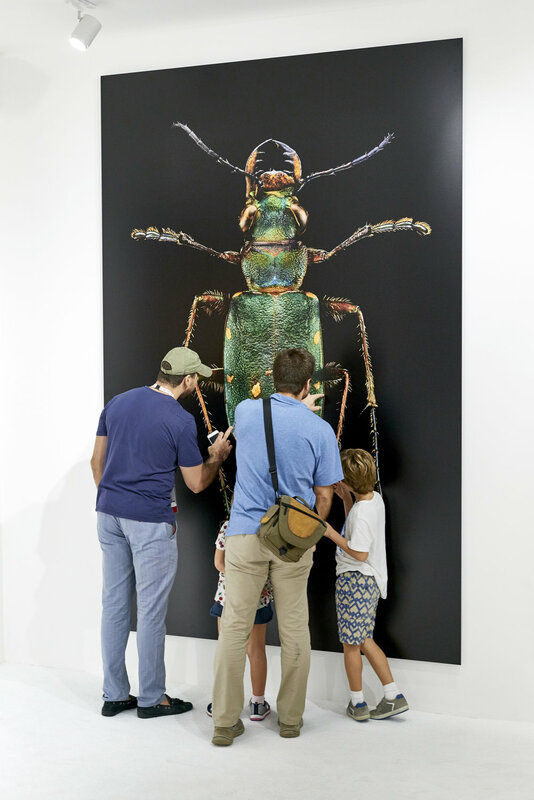 Microsculpture opens in the U.A.E. Levon Biss was invited to the Xposure International Photography Festival alongside other internationally renowned artists including Don McCullin, David Alan Harvey, David Yarrow, Stephen Wilkes and Tom Stoddart. As well as giving talks on his work, Levon presented eighteen full size prints in a gallery space built especially for the Microsculpture exhibition. Microsculpture launches in the U.K. 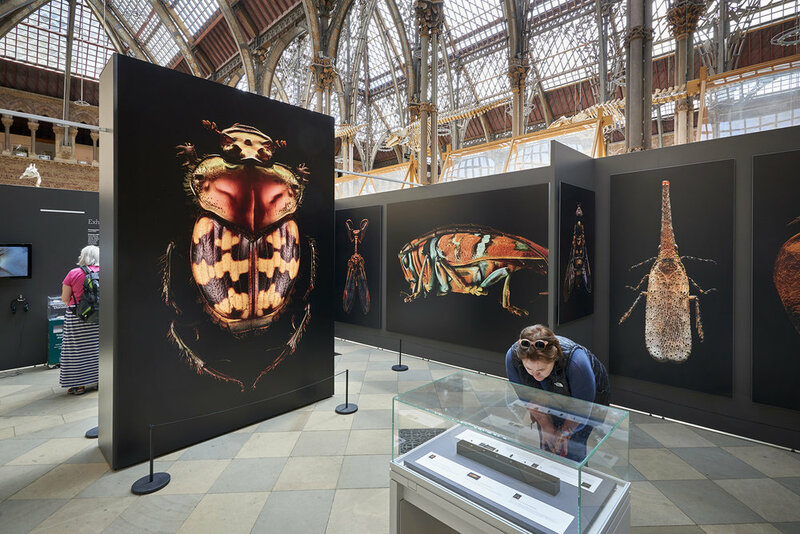 The official launch of the Microsculpture project took place at the Oxford University Museum of Natural History. 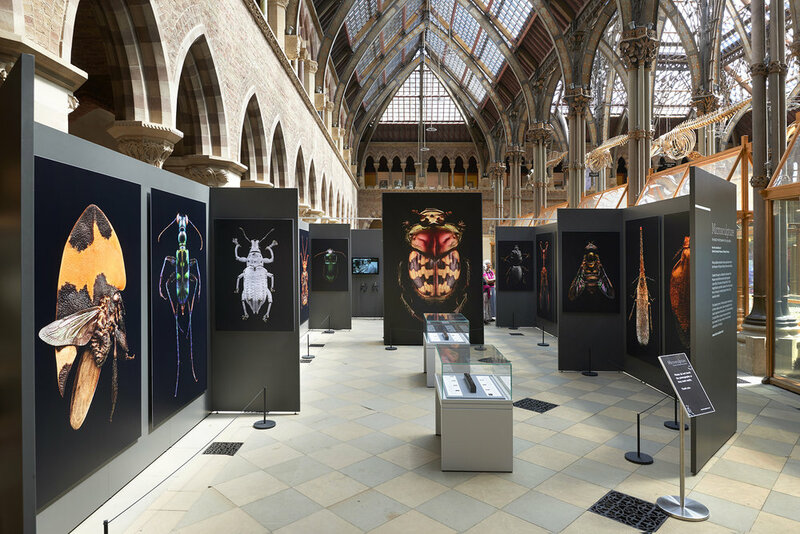 Surrounded by the Museum’s Neo-Gothic architecture, Microsculpture was exhibited on the main court and received 450,000 visitors during it's 8 month residency.